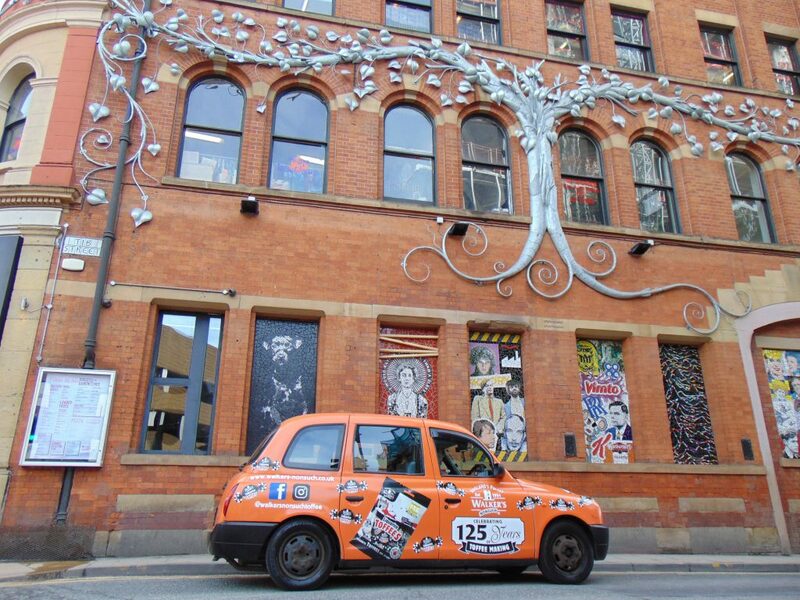 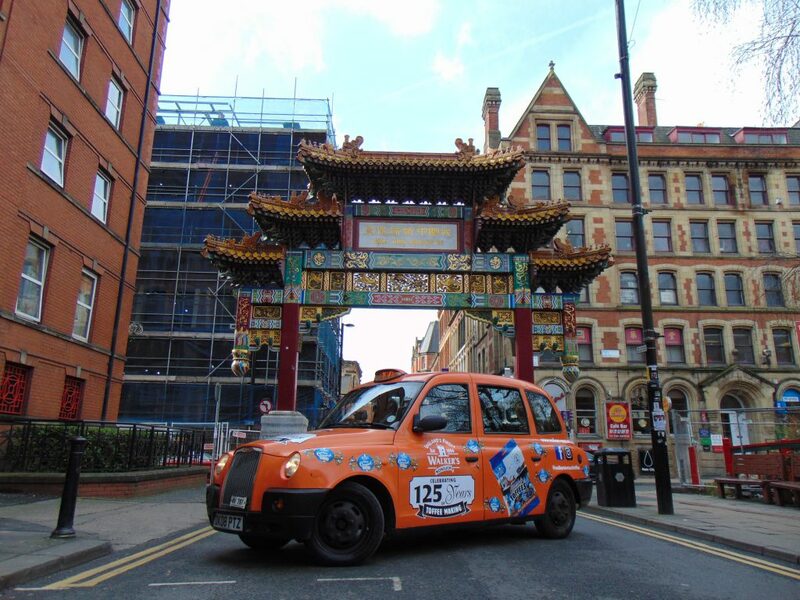 Have you spotted our delicious-looking Walkers Nonsuch Toffee taxis in Manchester yet? 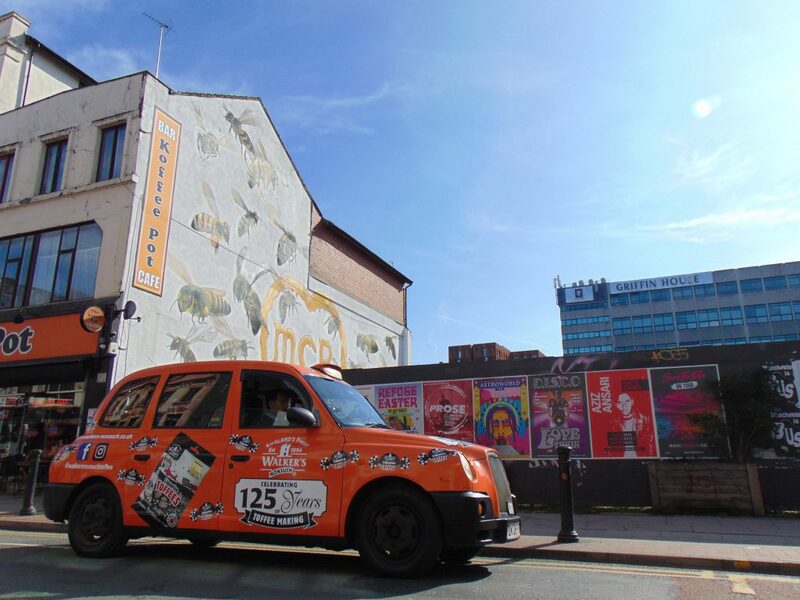 One of our national campaigns Walkers Nonsuch Toffee on iconic taxis have started earlier this year in Manchester bringing delightful sweets into the city. 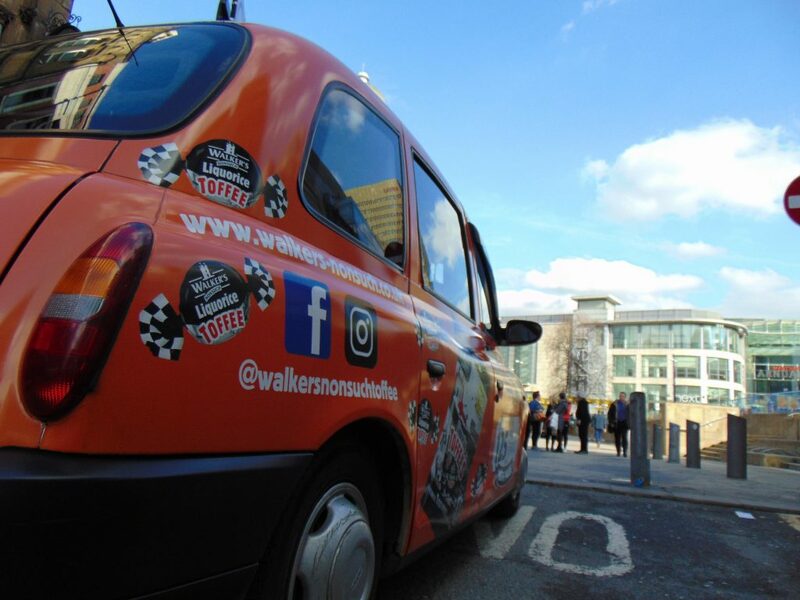 To celebrate Walker’s 125 years of toffee making the full taxi livery is covered in toffee sweets (even the roof!) 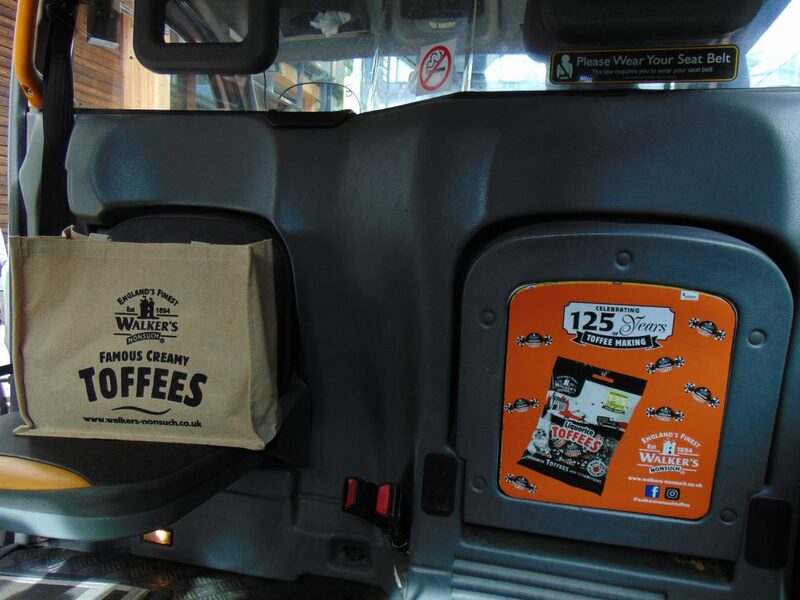 including taxi tip up seats. 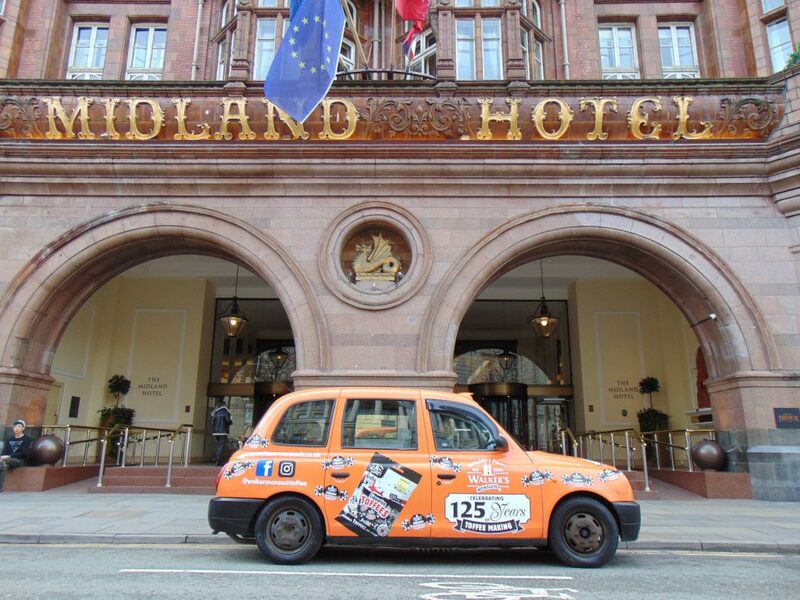 Download the Android & iOS Sherbet Ride App to Hire an Electric Taxi with us!